Nationalist Election News - Stand Up and Fight! and ensure that no Unionist Shall Represent South Down. Connellan for South Down. This piece of election literature was produced by the Nationalist Party for the 1958 Northern Ireland Parliamentary election. 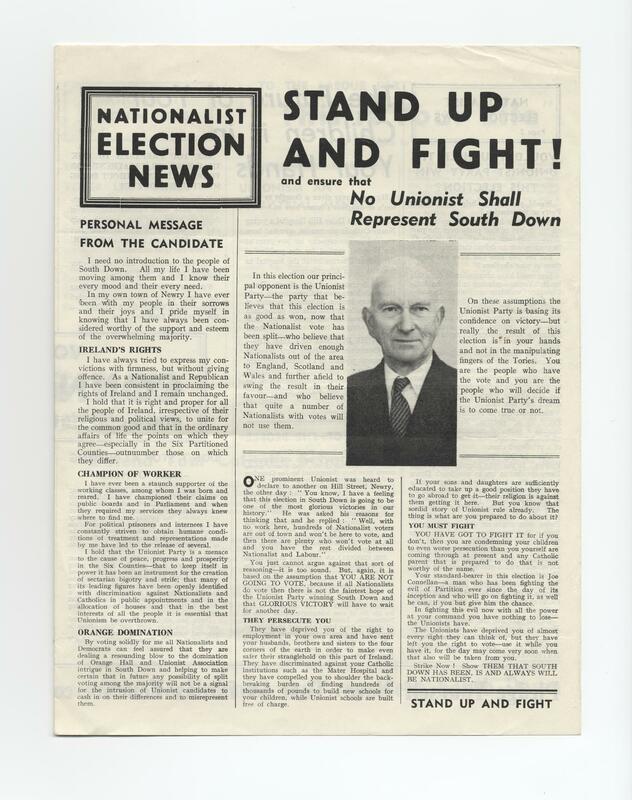 In South Down Joe Connellan defeated Unionist and Irish labour candidates and retained the seat he won in 1949. Connellan retained the seat until his death in 1967.